Wow – 8 months!! Daphne has really changed over the last month!! She is officially crawling – as of about 2 weeks ago. At first she just crawled around whatever room she was in – now, however, she crawls EVERYWHERE!! She seems to like the kitchen right now – maybe she likes the feel of the cold tile on her legs. I don’t know, but whether someone is in the kitchen or not, she often crawls there and just sits. Now that she is great at crawling, Daphne is trying to pull herself to standing. For now she uses things like a stool or basket or her sisters to help her stand up. It won’t be long, though, before she can pull herself up to the couch. She says, “dadadada.” She has no idea what she is saying, but she can say it. She is perfecting the art of spitting! It is lovely, really. If she is not eating, she is spitting drool. If she is eating, she is spitting her food! She tends to spray whoever is feeding her. Nice, I know. She pretty much likes any food we give her. Her favorite seems to be watermelon. At first I just pureed it and mixed it with her cereal. This week, I cut it into tiny pieces and she ate it. I also put it in a Sassy Teething Feeder – which she loves!! She is taking all bottles now – but she is a pokey eater!! She is often so distracted by what is going on around her that she doesn’t want to eat. When she smiles she often wrinkles up her little nose – totally cracks us up!! She is becoming quite the ham and we are enjoying every moment with her!!! Norah is working on a little project for math so she created 2 polls in my sidebar – What is your favorite color? and What is your favorite season? Please take a moment to select your answer!! Thanks!! Baby dolls probably don’t like guacamole or pepsi, so there was no need for me to drop mine on Lucy’s doll. She Must be Getting Sick! That same daughter just asked me if she could put pants on (really? on a day that it’s 85 degrees?). I said sure and she ran up to her room and put pants on!!!! I am not joking, she hasn’t worn pants in about 4 months and then it was ONLY if I insisted that she wears pants. She has not chosen to wear pants in 2 – yes, 2 years!!! Congrats to my friend, Andrea!! She was Mrs. Missouri and last night won the Mrs. America Pageant!! We have now completed 2 weeks of school. We did a lot and had a lot of fun!! Last week, I tried to focus on getting back into a routine – we really haven’t had much of a routine for Norah and Lucy since Daphne was born over 7 months ago. Daphne has been on a great schedule for about 4 months, but poor Norah and Lucy have had to just go with the flow. We wait until around 9 to start school – which is perfect because Norah has been sleeping until 8:30 and Daphne goes back down around 9. We start with a little circle time (requested by Norah). We read some books, do our calendar, sing some songs, practice Bible verses, review sight words, and sometimes do something special depending on what we are reading that day. Two mornings a week, I am also do some preschool stuff for Lucy so we add in a Montessori activity demonstration and a number of the week. I am not exclusively using the Montessori methond for Lucy, but I am doing a lot. 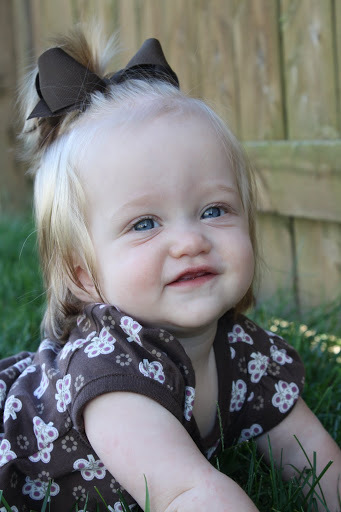 As the second child she likes to do things independently and she likes to have quite a bit of say over what she does. In order to keep things running smoothly while teaching preschool and kindergarten at the same time, Lucy has quite a bit of independent learning while choosing things from the Montessori shelf. Norah has actually enjoyed some of the new activities, too. They both beg to do something from the Montessori shelf on the days that we are not actually doing preschool. We are reading a couple of pages every day from the Usborne Internet-linked Children’s Encyclopedia and then getting online to find out a little more about the topic and doing some related activities. Okay, if you have never seen or heard of this encyclopedia, it is FANTASTIC!!! Today, we read about castle life and then got online to learn a little more. There was a picture of a castle and you could click on different areas of the castle for more information and to do an activity specific to that area. For whatever reason, Norah was interested in the dungeon. This was the activity they wanted to do. We read the little story and then click on “You say what happens” to get here to create a personalized escape plan. Very fun. The girls wanted to do it multiple times. I am planning on having an Usborne Books party in October or early November so if you are interested in this book, check back later. After circle time Norah usually does some table work which includes copywork or a journal page and a page from Explode the Code. Right now for her copywork we are practicing writing her whole name (she has been able to do this for awhile, but has gotten VERY sloppy), and our address. She may journal whatever she wants, but then she writes one sentence describing her picture. For science we are focusing on nature studies. We are trying to take a nature hike at least once a week and we use our findings as a springboard for our science lessons. Also, some of our read-alouds are science related. We will also do some experiments along the way – magnets, sink-float, etc. At rest time (naptime for Lucy and Daphne) Norah is reading a book to me and then I am reading a couple of chapters from our read-alouds to her. We have finished 3 chapter books in just a couple of weeks. The great thing about homeschooling is that if Norah wants me to read ahead – we totally can. I don’t have to stick exactly to the lesson plan. Using Foreign Language Friends, Norah has completed the shapes activities and is working on body parts. We are also doing some extra activities to help her review the Spanish words that she has already learned. We are also doing art and music – more on that later. We are busy, busy in the mornings, but the girls have been excited to get started. It helps tremendously that Daphne usually takes a decent morning nap. Those of you who know Norah, know that she only wear skirts. Now, I don’t mean she prefers skirts or she rarely wears anything else. She ONLY wears skirts – as in she NEVER wears anything else! This summer I have let her wears skirts. Really, little girl skirts are not much different from shorts (they all have shorts underneath), so I didn’t make a big deal of it. She has one pair of shorts that Heather gave us and maybe one pair of capris. It can drive me CRAZY, but it is one of those battles not worth fighting. Anyway, a couple of weeks ago, when Old Navy was having a sale on jeans – $8 for jeans up to 5T, I told the girls we were going so I could get them all some new jeans. I try to remind her that it is going to get cold so she will need a pair of jeans (seriously, we are talking 1 pair not 5). I remind her that Savannah has some really cute jeans and capri pants.